Butter (real butter, not margarine) is a great soy-free food because as its most basic level it is just sweet cream and salt. But what happens if you also need to avoid dairy? 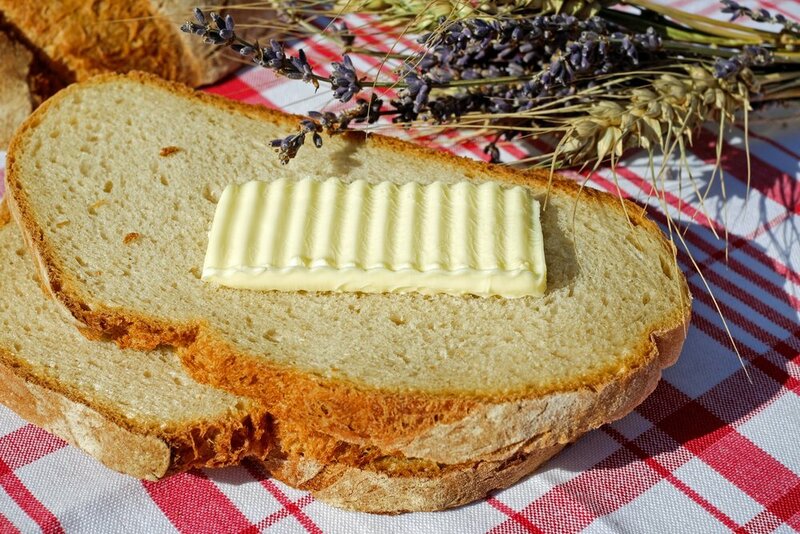 We use butter in a variety of applications, from garlic bread to pie crust, when we cook. While dairy-free butter is quite easy to find, it almost always contains soy. Margarine is essentially entirely made from soybean oil. So if we swapped real butter for dairy-free butter we would likely introduce soy into the dish. After some grocery store searching, we found a third option: Earth Balance Butter! Earth Balance makes a variety of dairy-free butters for just this type of scenario and a few of their options are both dairy-free and soy-free. They basically make margarine out of non-standard oils, including canola oil, palm oil, and olive oil. We look for the red container in the grocery store and we love it! Earth Balance comes both in a tub and as sticks. We have used it for everything in the kitchen from spreading on toast to baking pies. If you need a butter option that is both soy-free and dairy-free, look for Earth Balance in the grocery store!